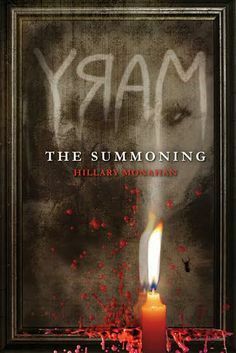 Stopping by The Ball this week is the frightfully talented Hillary Monahan, debut author of the scary YA novel MARY: THE SUMMONING. The book explores the urban myth of Bloody Mary, making her less myth and more vengeful specter. As I’m a full blown coward when it comes to horror of any kind (I was particularly scarred by the Bloody Mary story in fourth grade and removed all mirrors from my bedroom for years), I found a brave volunteer to read it for me. I have it on the very highest authority you should not read this book at night, especially if you’re alone. With spine-tingling precision, Hillary’s book will scare the pants off you. Enjoy Hillary’s answers to our Deb Interview. My favorite book of all time was, is, will probably always be LONESOME DOVE by McMurtry. It is the quintessential character book and—despite being in a genre I generally don’t read—inspired me to write. The descriptions and dialogue are so on point and perfect, if you saw one of the cast walking down the street, you would know right away, “That is Gus. That is Woodrow. That is Jake.” McMurtry paints word pictures like no one else. I had quite the ride. I finished the first draft of MARY in November of 2010. It was called THE LEGACY at that point because it was a historical. The book was told from the perspective of a modern aged girl “experiencing” Bloody Mary’s terrible life. It went on sub to a dozen editors and . . . got one pass. No one else said a word. Standardly editors will give the NO to get the work off their desks so they can move onto other projects. Radio silence was odd. Fast forward to April of 2011—thirteen or so months after it first went out. One publishing house asked me to modernize the story. They loved the concept, the writing, and the monster, they simply wanted it to take place now, not back in Mary Worth’s day. My agent asked the sitting houses if they would be interested in seeing a rewrite, too. Seven said yes. To make a long story short, after one rewrite and sixteen months, MARY went to multi-house auction and landed its home in October of 2012. A coroner. I was absolutely obsessed with forensic science and thought I wanted to do profiling or criminology to track down real world Hannibal Lecters. Unsurprising that I’m a horror author now, really. I’m terrified of snakes. I lived on a farm when I was a kid and I swear we were an episode of “When Nature Attacks” waiting to happen. We got all sorts of weird wildlife coming our way. Snapping turtles that’d migrate between the two streams of the property and get stuck in our driveway, snakes, skunks, woodchucks. One day, my mother sent me out to mow the side lawn. I was notoriously lousy about going outside; I always had an excuse as to why I needed to be in my room instead of in the yard. “There are bugs.” “The grass is too green.” “There’s wind.” When I went back into the house to report that there was A HUGE SNAKE ON THE SIDE LAWN AND I COULDN’T MOW, my mother assumed I was faking to get out of the chore. “Get a stick, put the snake on a stick, and fling it into the cornfield.” As my mother has pretty much perfected Mommy Murder Face, I did as I was told. The biggest stick I could find was a foot long. The snake was a veritable anaconda. Bad combination. To this day, my mother apologizes to me for the experience of Young Hillary lugging Snakezilla across the yard on a toothpick. Then she laughs at me. Never give up. Perseverance is key, as is thick skin and the ability to take criticism. You get a lot of NO in the publishing industry, but the eventual YES makes that mountain of rejection unimportant. Keep going, keep informed, keep your attitude in check. It’s a hard business but the payoff can be incredible. Thank you, Hillary, for joining us today on the Deb Ball! GIVEAWAY: Comment on this post by Noon (EST) on Friday, November 14 to enter to win a copy of MARY: THE SUMMONING (North America only, please). Follow The Debutante Ball on Facebook and Twitter for extra entries—just mention that you did so in your comments. We’ll choose and contact the winner on Friday. Good luck! 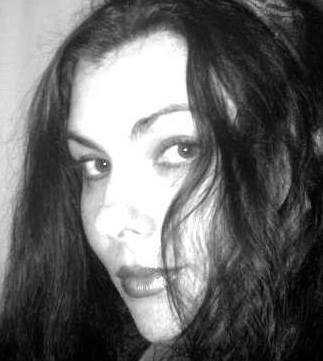 Hillary Monahan also writes as Eva Darrows. Holed up in Massachusetts with three smelly basset hounds, she writes funny, creepy things for fun and profit. Follow Hillary on Twitter and find her book on Amazon, Barnes & Noble, and Indiebound. I would love to win this book! It sounds perfectly creepy and as a Mary myself (with the alter ego Bloody Mary on my review website 🙂 ), it is practically destiny that I should own it! I also follow you on Twitter & FB. Thanks for hosting the contest! The Summoning Rocks and Frights!!. I follow you on twitter and facebook. I would very much enjoy winning the contest. Looking forward to reading and sharing works by Eva Darrows. I really want a signed copy of this book! My friend Eric said he screamed like a child when he read this book and had to sleep with the lights on for weeks. I would love to have a signed copy of the book that turned ET to jelly! So excited for your success – all the best! This Author is a great and funny person, she cracks me up, and this book looks like a perfect addition to my horror type book collection. I love anything to do with voodoo, Bloody Mary, and Exorcisms. After reading the description of this book, it seems like the kind that is right up my alley. I have already books from authors such as Steven king (who hasnt?) Christopher Moore (who I found her through) and Nicole Del Sesto and her all encompassing trip, as well as the misadventures of Taco Bob on key weird. I would love a copy, as I am a bibliophile and I love reading books. I knew her when! Well, not that when. Hillary is a very talented, creative woman. I already have a signed copy of the book. I just wanted to comment. If I were to be the lucky recipient, I would put the book in the hands of a very deserving reader. I look forward to reading this book along with my step-son. I’ve wanted to pick a copy up so why not try to win one! Oh, and congratulations on your amazing accomplishments Hillary! I’ve been lurking in the shadows paying some attention to your career taking off. Well deserved! I am following The Debutante Ball on Facebook. A good book is always better than a TV show! This book sounds SO good. I’m the biggest wuss ever so I normally stay away from scary books, but I remember the first time I read the synopsis I thought “I’ll make an exception for this”. Thanks for a chance to win!